Smoked salmon from Scotland was where it all started back in 1992 and over twenty years later, it continues to be a top product in Scottish Import’s range. Scottish Import cooperates with several well reputed smokehouses and we enjoy exclusivity for several brands now available in Germany. It is with pride that we represent our partners and we look forward to working together for many years to come. 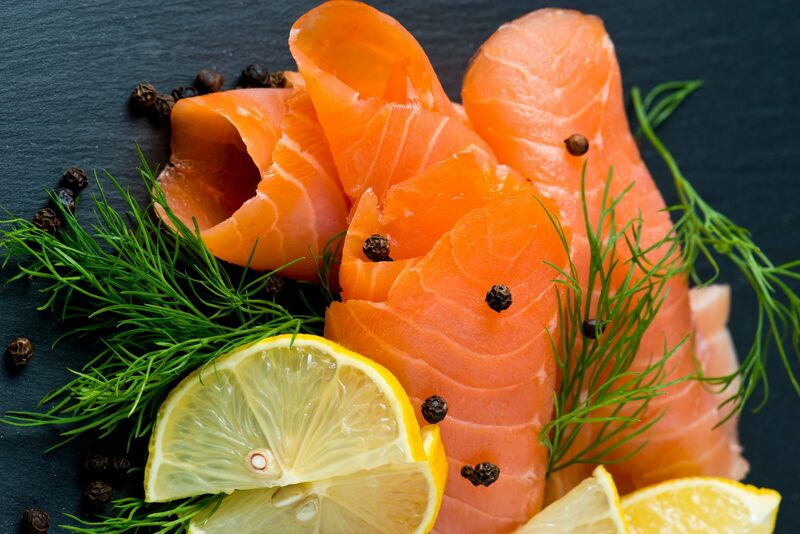 As a result we are delighted to be able to offer our customers a large variety of smoked salmon products to suit most tastes and occasions; whether of Scottish, Irish or Norwegian origin. Loch Fyne is our premium partner in Germany for top quality, premium Scottish products. 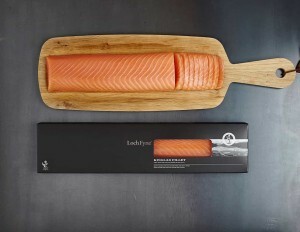 Founded in 1978, Loch Fyne enjoys an international reputation of being a traditional Scottish salmon smokehouse, producing smoked salmon at its absolute finest! Other Loch Fyne products include exquisite oysters and mussels. In April 2014 Loch Fyne was awarded the “Queen´s Award for Enterprise: International Trade“ by Her Majesty, Queen Elizabeth II. An exceptional honour in recognition of excellence. Applications for this award are submitted to the prime minister by leading figures from industry, trade, government and unions. The final selection process however is carried out personally by HM Queen Elizabeth II, who then invites the recipients of this award to Buckingham Palace. 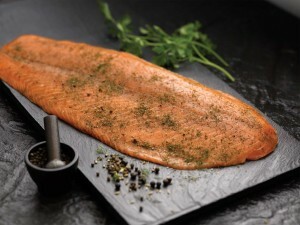 The art of smoking salmon at Loch Fyne lies in the experienced expertise and selection of only the finest ingredients. The freshly filleted salmon is dry-cured, given the time it needs, before being gently smoked over oakwood chips, from retired whisky casks. The result is a traditional style Scottish smoked salmon, delicately cured with a firm texture. 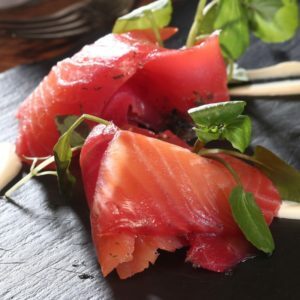 Loch Fyne offers a variety of Scottish smoked salmon products, ranging from the traditional classic flavour to citrus and whisky marinated sides and packs. All recipes are well preserved secrets, but suffice to say, the whisky used is for the whisky marinated sides is a Glengoyne 21 year old Single Malt! The top of the range product is however the equisite Kinglas Fillet; the centre cut taken from the crown of a Smoked Salmon ‘classic’ fillet. Bleiker’s Smokehouse, situated in the heart of North Yorkshire has been our valued partner for many years. Jürg Bleiker, originally from Switzerland, founded his company in 1993, producing traditional smoked and marinated products. Now in the second generation, the family run smokehouse prides itself on traditionally curing and smoking the finest quality fresh produce and preparing them to the highest standards – wherever possible free from any artificial colourings, flavourings and preservatives. Bleiker’s produce has won numerous awards over the years and is to be found on menus of internationally renowned chefs around the globe. Besides the traditional recipes used, Bleiker’s continues its innovation by developing new products, such as the Romanov Smoked salmon, which is based on a Russian recipe, whereby the salmon is marinated for one week in a beetroot and dill marinade before being smoked, This and many more exciting products are available from Scottish Import, whether as whole sides or retail packs. The smokehouse Kenmare Select, situated on the windy southwest coast of Ireland truly understands the art of smoking and has done so now for over 20 years. Back in 1990 Kenmare Select was awarded its first prize, of many to follow: the “Best Export Product“. The family run smokehouse sources Irish salmon from the deep and clear Atlantic waters around its coast and specialises in producing top quality and highly creative products, using various aromas to flavour. Examples of this creativity are the Seaweed & Oak Smoked Salmon or the Herbal Marinated Smoked Salmon, both available from Scottish Import.